Welcome to the 2019 Rise Burpee Challenge! #IShowedUp: Show up to at least one Rise workout per week and complete the weekly Burpee segment. Take a selfie at the workout (or have someone else take a photo of you) and submit it. #ProjectAfterHours: Complete the weekly Burpee segment on your own, take a selfie (or have someone else take a photo of you) and submit it. 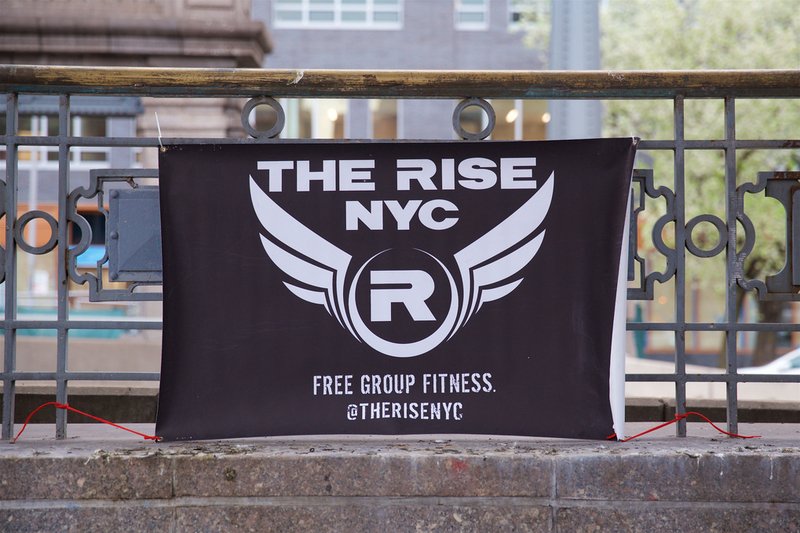 NEW RULE: If you attend more than one Rise workout per week, you can count one towards #IShowedUp and the rest towards #ProjectAfterHours. #100BurpeeChallenge: Complete 100 Burpees straight! You’re allowed to rest, but they must be done in one session. Make sure to get it on video and send it to us in an email instead! The table below breaks down the point distributions for these subchallenges. Most points scored. Crush the challenge? You deserve a prize! In the event of a tie, we’ll either split the winnings or break the tie in a Burpee-ful way – TBD! Photo contest. You’ll be uploading plenty of sweaty post-workout photos during this contest. The ones that we like the most will get prizes. Get creative! Caption contest. When you upload a photo, you have the option to add a caption. Is there a cool story behind your photo? Did something crazy happen during your workout? Put your storytelling skills to use and you can win a prize!